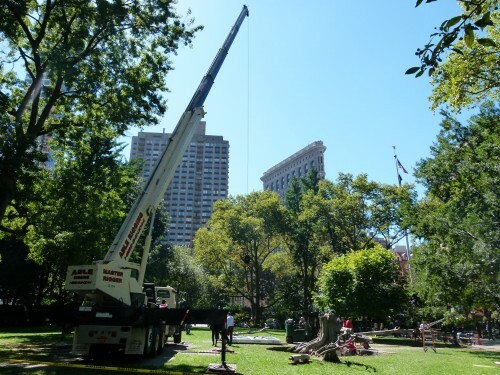 The new Madison Square Park art installation is now up. Although Giuseppe Penone’s Ideas of Stone officially starts on September 26th, you can head to the park now to check it out. 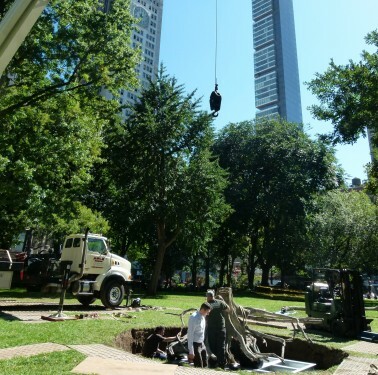 In order to install the 7,000 to 12,000 pound structures, crews excavated 3-foot deep (and very wide) holes and installed metal support systems. 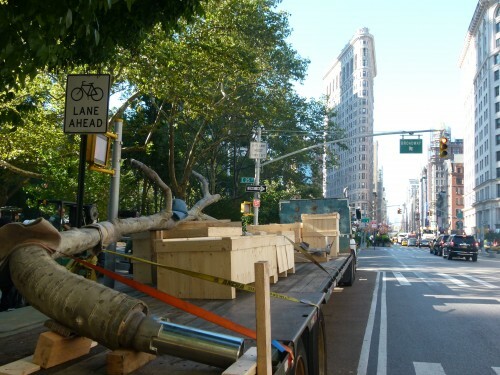 The artist was on hand to oversee the 127-foot, crane-assisted installation of the three bronze trees. For an Italian-themed afternoon, head over to Eataly after seeing Penone’s work in Madison Square Park!